Sinfonía Nº 9 en Re mayor. Sinfonía Nº 21 en Mi bemol mayor. Sinfonía Nº 29 en Do mayor. Sinfonía Nº 9 en Re mayor, (L. 298). Sinfonía Nº 21 en Mi bemol mayor (L. 310). Largo sostenuto – Allegro vivace. Sinfonía Nº 29 en Do mayor (L. 318). Larghetto con un poco di moto. René Ramos (Nº 21 y 29). 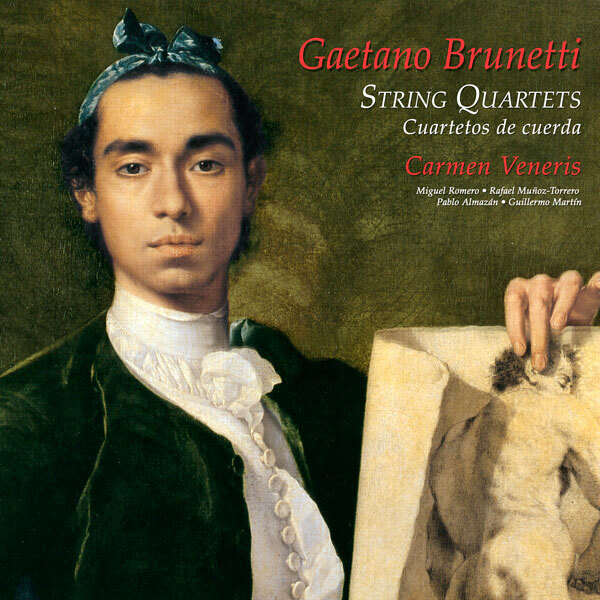 Gaetano Brunetti (1743-1798) was, along with Luigi Boccherini, the leading composer of chamber music in Spain in the last third of the eighteenth century. He was of Italian origin and served the Spanish crown since 1767. His presence in Madrid can first be documented in 1762, when he appeared as a member of the orchestra in the Teatro (coliseo) de la Cruz, and also wrote music for the comedy of García del Castañal. 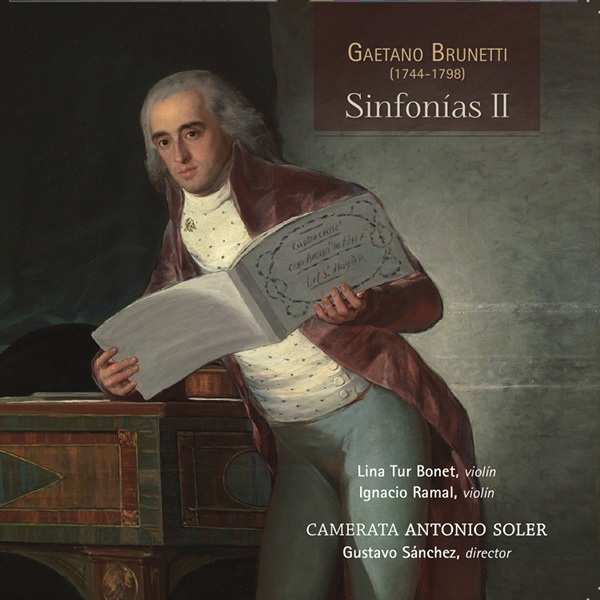 Since 1770, as a violin teacher to the Prince of Asturias, the future Carlos IV, Brunetti served as composer for the court for 28 years, thus becoming the main author of symphonies in Spain. However, just as the rest of his pieces, none of them were meant for public concerts or for the publishing industry, since they were meant to be performed privately in the halls of the Palace, as “chamber” music. Brunetti wrote at least 40 symphonies, of which the first six correspond to the model of the overture in three movements. He also wrote four concertante symphonies as well as an interesting “character symphony”, Il Maniatico, in which a character is represented by a cello-soloist through- out the entire piece. 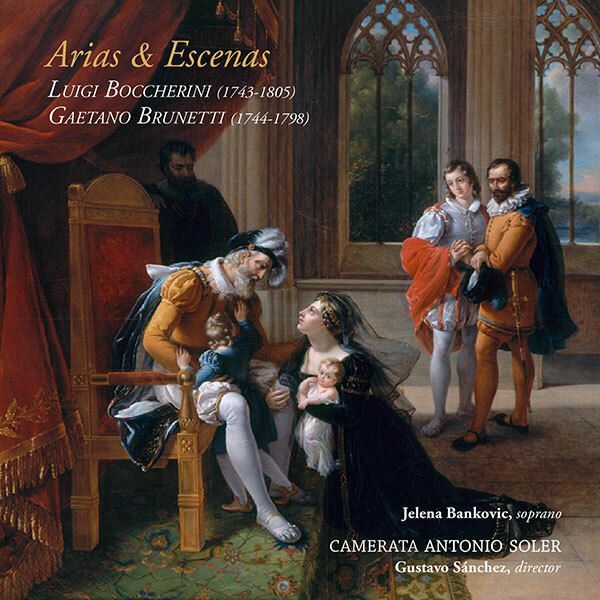 Compared to other composers of the time, the only one with a comparable orchestral production would be Luigi Boccherini, with 28 symphonies or similar works. 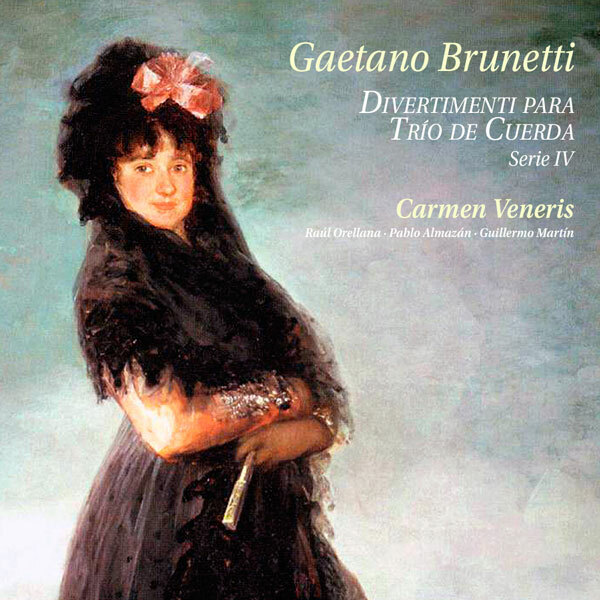 Most of Brunetti ́s symphonic oeuvre was composed between 1769 and 1788, the latter being the year when King Carlos III died and the Prince of Asturias was crowned Carlos IV. In fact, 34 out of his 40 symphonies, including the three presented in this recording, were written during this period (1783-1786). Probably, the most remarkable feature in his symphonies (excluding the overtures and the concertante symphonies) could be the use of a “quinteto” in the third movement, instead of the most common minuet-trio pattern. This feature makes them easily recognizable as “Brunetti symphonies”, since it constitutes a rare exception to the rule by introducing a ternary movement which could contrast with the other movements in rythm, tempo and character. In fact, the composer reinterprets the idea of using a dance pair (the minuet with its trio, characteristic of the quartet or the classic symphony), since he prefers to use contredanses or another type of tune in 2/4 measure. Furthermore, the first section is scored for a wind quintet (hence the origin of its name), while in the second only uses string instruments, so that there is always a timbre contrast between both sections. There are only two exceptions to this rule: the Symphony No. 13, where the quintet is written in 3/8 and is a “taich”, a popular dance from Central Europe; and the Symphony No. 30, with a “Tempo de minuetto” and its trio. 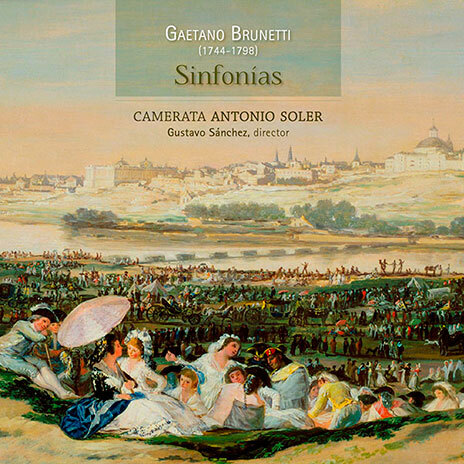 Just like in the rest of his chamber music, Brunetti shows he is an original composer, very concerned with sound and timbre combinations, and with great melodic inventiveness. Characteristic of his symphonies is also a chamber idiom, with subtle effects that can only be achieved with a small orchestra similar to the one he must have used, like the one in this recording. With a string section much closer to the chamber group than the traditional concept of “orchestra”, these symphonies sound with remarkable clarity, while it is also possible to notice more dynamic and timbre contrasts, which would be lost with a larger ensemble. Surprisingly, when the wind instruments intervene, the result is well-balanced and the strings maintain their presence, therefore one does not miss additional instruments. In the spirit of this chamber idiom, there are passages where the bass line has been attenuated in this recording, when the use of the Double Bass would have caused harmonic inconsistencies or an excessive relevance of the Basso part. The result is a performance with frequent contrast and tonal effects unusual in this repertoire, features that add to the composer’s melodic inventiveness and originality.